We're happy to announce the Not In This Lifetime tour will head to Japan for three shows in January. 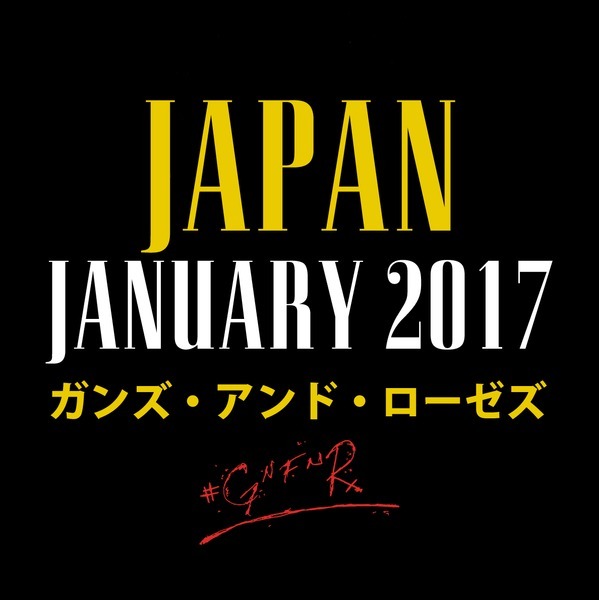 #GnFnR will play two shows at the Saitama Super Arena in Tokyo and one show at the Kyocera Dome in Osaka. Nightrain presale for all dates begins today, August 17 at 12pm JST. Check out the tour page or the GN'R Japan page for all the details. Please note, only fans with a Japan-issued credit card and a Japan address may purchase tickets during the Nightrain presale.